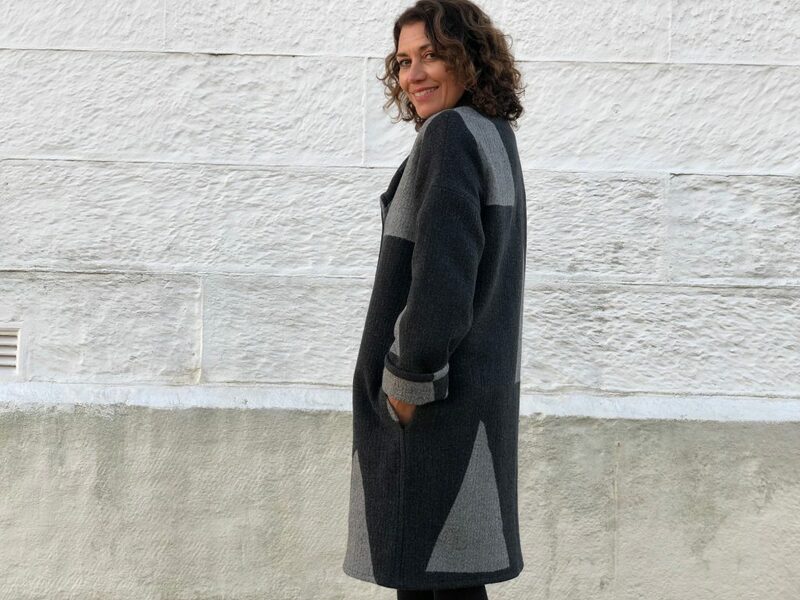 Meet our final winter pattern for 2018 – the Soho Coat! 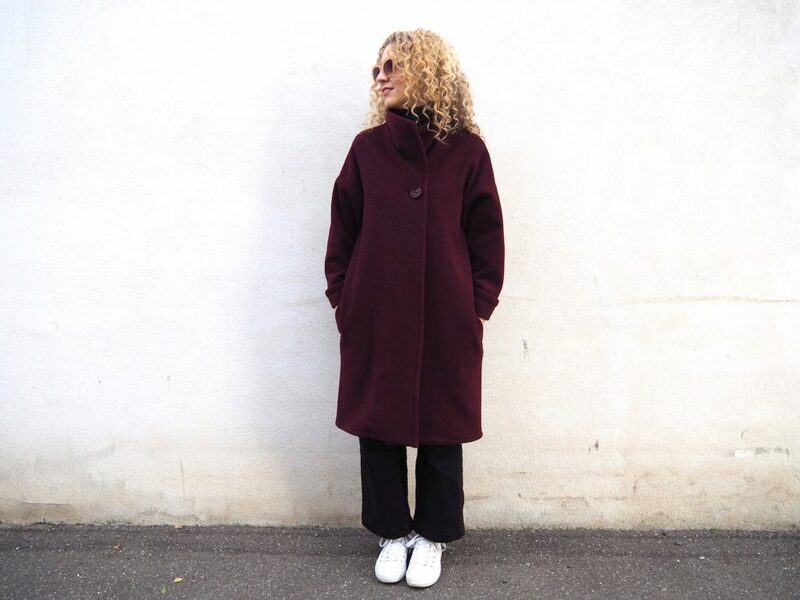 This stylish, classic coat is unlined and features a turned back collar, side pockets, drop shoulders, topstitched side seams and full-length sleeves with rolled back cuffs. The finished length has been designed to sit on or just above the knee but it can easily be adjusted suit your personal preference. 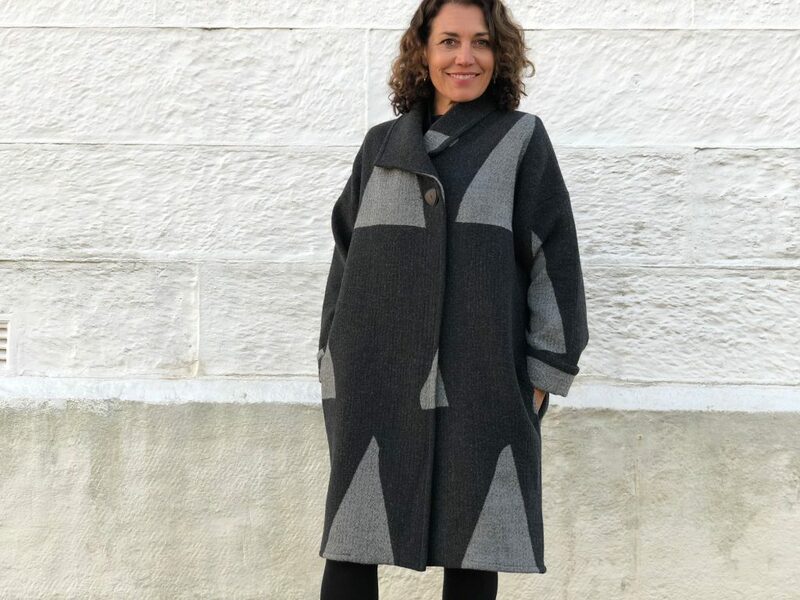 This pattern has been on the planning table for two years now and was actually a forerunner to our very popular Brooklyn Coat. See the similarities? We sewed up the original samples (below – both fabrics now sold out) for Bella and Gabby when they travelled to New York in 2016, hence the Soho naming rights. 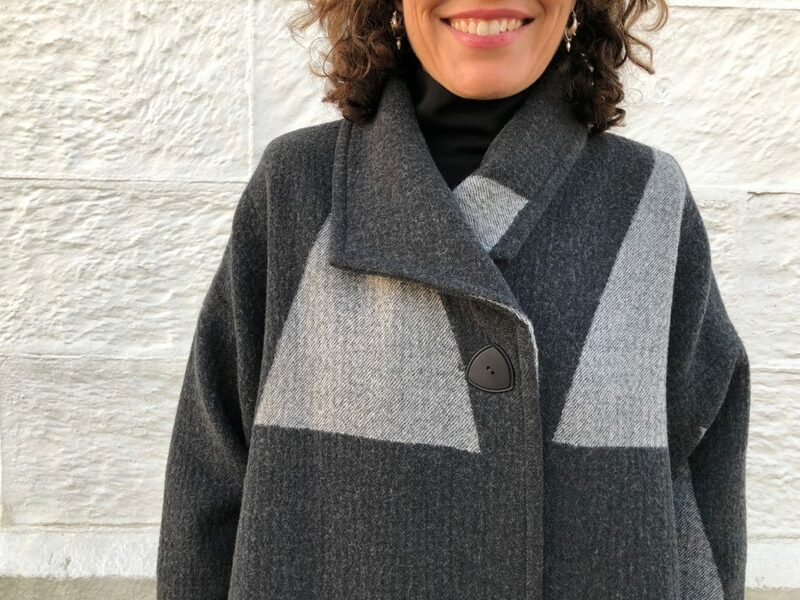 At the time, there was much, much discussion about whether or not to line the jacket and then some other patterns vied for our attention and….finally….here it is! 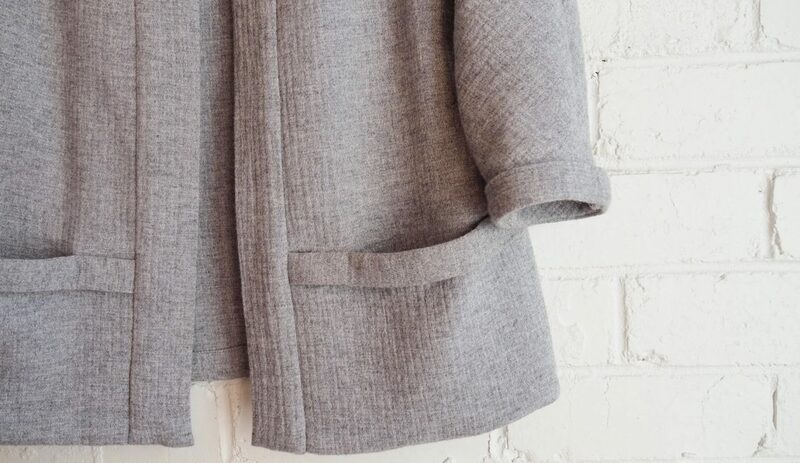 This coat closes just beneath the collar with a single button. Our favourite thing about Soho is definitely that collar which looks equally great worn up or down. 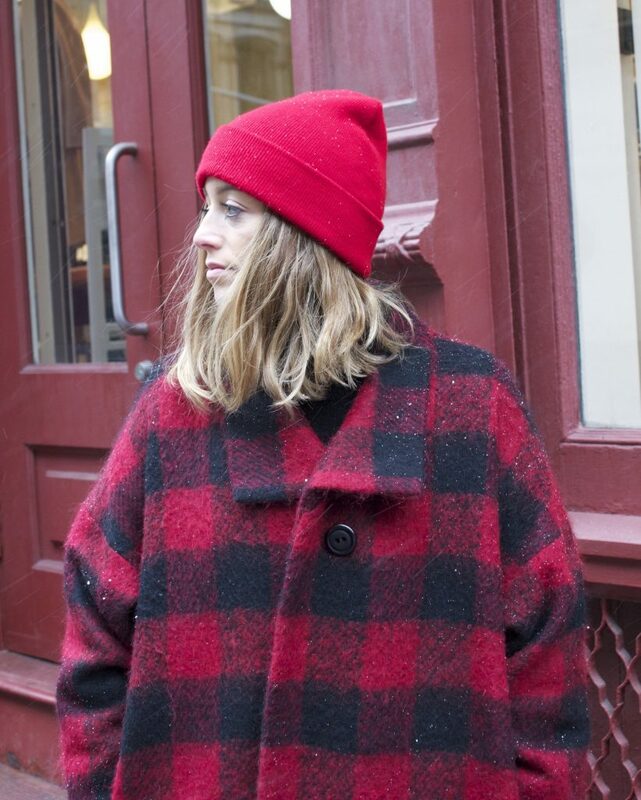 My version (below) is made up in our wool/cashmere Berry Stories Twill (also available in Midnight navy). 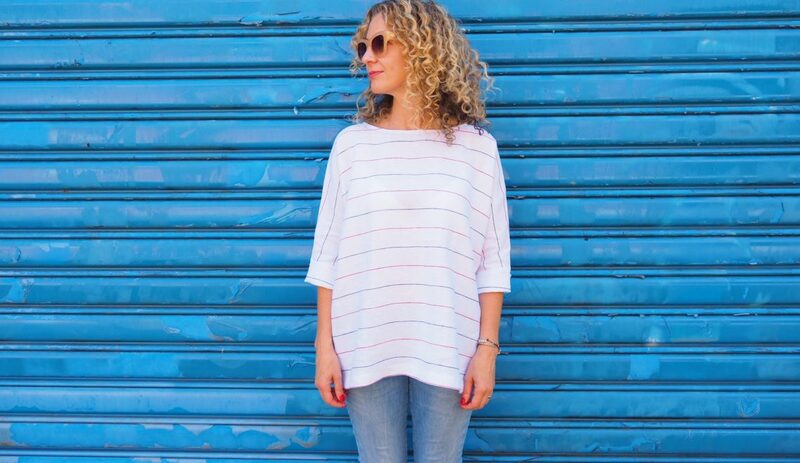 Colette’s is made up in Grey’s Forest – a fabulous Italian double-sided wool/cotton/poly blend. The pattern is now available in (Australian) sizes XXS through to XL. 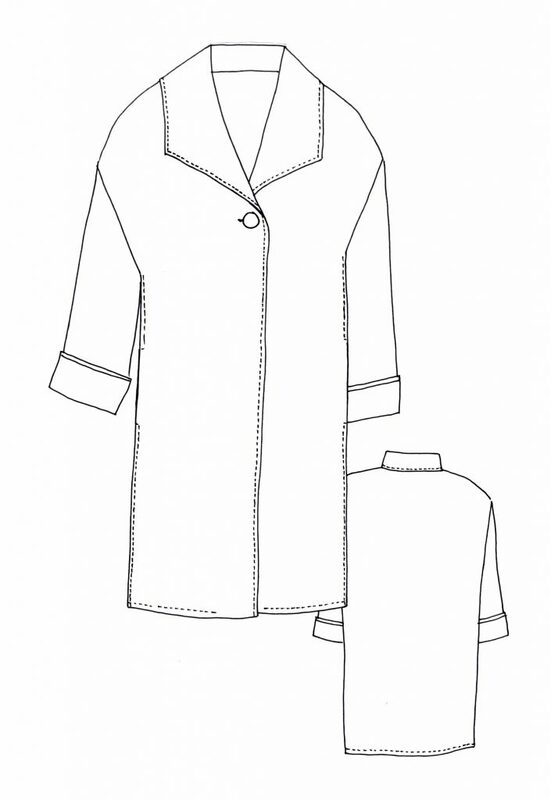 All sizes are included in the pattern. You can download the PDF print-at-home/print copy shop version online or purchase a hard copy (for a limited time) online and in-store.